John Calvin on the value of the Psalms. An Arminian Molinist samples four flavors of causal determinism. Paul's doctrine of the Holy Spirit. As a partial preterist/amillennialist, I never understood full or hyper preterism. One of the problems that jumps out at me is the concept of this world, along with sin and death, continuing forever. Sam Frost examines full preterism and the problem of infinity. Yeah, it's a pretty big problem. Seumas Macdonald on the link between hyper-Calvinism and Pelagianism. Stephen Macasil on the dark side of Chuck Smith. 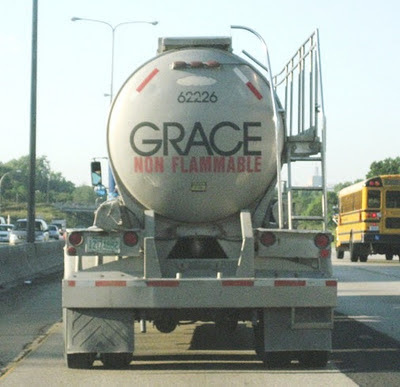 A.M. Mallett finds the Calvinist use of the phrase "doctrines of grace" offensive and eschews the "near blasphemous regard for God's character represented by elements of TULIP." Arminian William Birch presents what he thinks might be a Calvinist interpretation of Genesis 4. Colin Maxwell responds to Mr. Birch. Calvin and Aimee asked, "Should we marry if we're theologically divided?" Russell Moore offers his response. Justin Taylor interviews Mark Driscoll about his new book, Doctrine: What Christians Should Believe. Derek Ashton is a bad Calvinist (part 1, part 2, part 3, part 4, part 5, conclusion. Matt Svoboda explains what the Ergun Caner controversy is really about. Carl Gobelman on the extent of the atonement. Steve Hays addresses the Arminian claim that it's possible for Christians to lose their salvation. J.C. Thibodaux, one who believes Christians can lose their salvation, responds: "Just as Israel fell in the wilderness after being saved from the wrath of Pharaoh, so the scriptures warn us against likewise incurring God's judgment after He has shown us His goodness." Of course, this completely ignores the fact that while the people of Israel did "fall away" and were disciplined, they were still God's chosen people and the covenant made with Abraham remained intact. Paul makes this pretty clear in Romans 11:1. A Catholic poster on Theology Web thought he could "demonstrate rationally and scripturally the invalidation of Calvinism, penal substitution and imputed righteousness taught by the reformer, John Calvin." You kind of have to read the nonsense to believe it. How many Christians are Calvinists? Two percent? Don Bryant thinks "a case could be made for even less." J. K. Jones is on part 2 in his layman’s critique of Whosoever Will: A Biblical-Theological Critique of Five-Point Calvinism. Randy Olds wonders, "Can a true Calvinist truly repent?" After all, if God determines everything, why should anyone be sorry for their sins? James White weighs in on the Ergun Caner fiasco. It is the Lord's delight to grant us what we ask of him in prayer. Like David, we all ought to pray, "O God, hear my prayer; give ear to the words of my mouth" (Psalm 54:2). If Christians did not believe in the effectiveness of prayer, there would be no reason for us to ask anything of God. He is the one who tells us that we can have confidence that our prayers ascend to him. "And this is the confidence that we have toward him, that if we ask anything according to his will he hears us. And if we know that he hears us in whatever we ask, we know that we have the requests that we have asked of him" (1 John 5:14,15). While as Christians we pay lip-service to the superlatives in that sentence ("whatever" and "anything"), how often do we really believe it? The fact is that our prayers are often hindered. There are times when it feels like our prayers are reaching the ceiling and going no further; times when we are lying face-down on the floor and feel that our prayers are rising no higher than the fibers of the carpet. While we can be sure that God does hear our prayers, there are times when he chooses not to heed or answer them.